For today’s deals roundup, we have found deals on smartwatches and fitness bands that are available on Amazon with a hefty price cut. The products we have added in the list below are from brands like Fitbit, Garmin, and more. If you’re on the lookout for smartwatches then you’ve come to the right place. We have covered a plenty of products in this list across various price ranges. 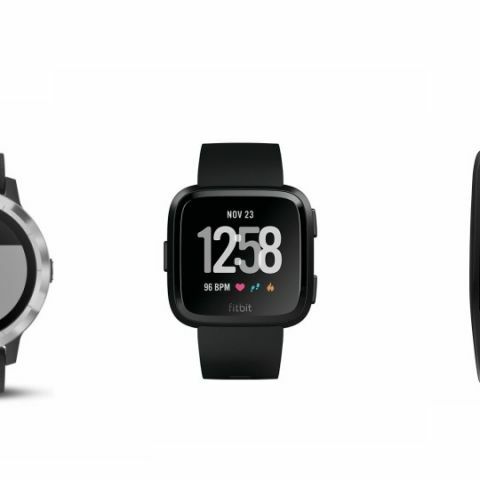 The list contains gadgets like Fitbit Blaze, Garmin Vivoactive 3, TomTom and more. The Fitbit Versa is a waterproof device which can be submerged in up to 50 meters of water. This smartwatch lets you track steps, calories burned and heart rate during a workout. The device also displays call & SMS notifications along with alerts from applications like Uber, Zomato, Whatsapp and more. Users can also store up to 300 music tracks on their watch and listen to it via a wireless headphone. Click here to buy. The TomTom Touch Cardio Fitness Tracker helps you to monitor your heart rate throughout the day. It is also equipped with a sports mode that lets you track active steps, burned calories and heart rate during a workout. It also displays call and SMS notifications so that you will never miss out on anything. Click here to buy. The Garmin Vivoactive 3 smartwatch comes with four days of battery life. It is a water-resistant device, which features GPS and more than 15 preloaded sports apps. The smartwatch displays SMS and calls notifications along with an option to book a cab and order food from apps like Uber and Zomato. Click here to buy. are there any wearable computers now available?